The other week I went to a local restaurant and had their $12 "prime burger". It was cooked to a perfect medium and had cheddar, bacon, spinach, grilled onions and remoulade. It was easily one of the best burgers I'd ever had and I enjoyed every sinful calorie. In terms of calories and nutrients, that's easily as bad or worse as anything you can get at McDonald's or any other fast-food chain. Ditto with major chains like Chili's, Applebees, etc. -- you can easily throw down a massive excess of fat, sugar and salt. It's hard to even know where to begin. The salt, saturated fat and simple carbohydrates in McDonald's food are naturally occurring. 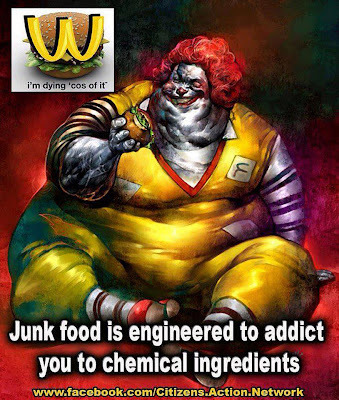 There's no evidence that specific ratios of macro-nutrients are more addictive than other ratios, much less that McDonald's is "engineering" their food to contain such ratios. So if it's not macro-nutrients, maybe it's some sort of additive or preservative. But what, exactly, and what is the evidence that it is addictive? And finally, all food is made up of chemicals. Everything you eat is a chemical. 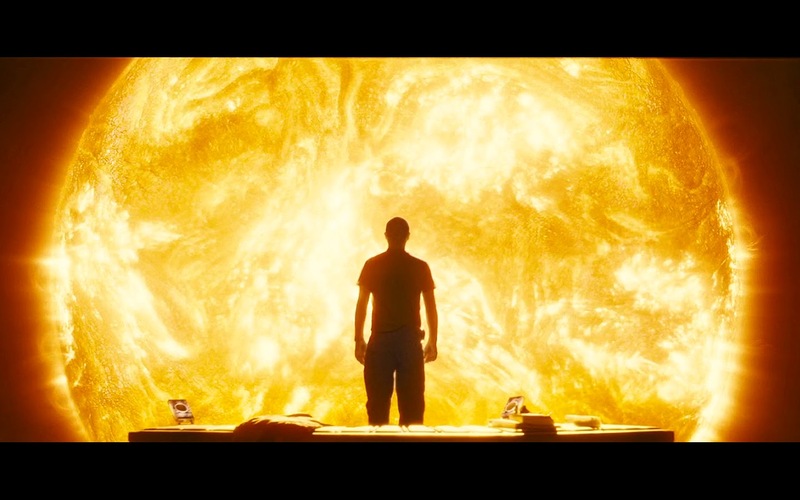 Your body is a giant cauldron of chemicals. Get used to it. So maybe they're referring to some synthetic chemical in McDonald's food. Okay... what is it, and where is the evidence it's addictive? People spreading FUD just like the word "chemicals" because it sounds scary. See what I'm getting at? Guess how much guilt I felt eating that burger the other week... that's right, none. That's because I don't eat that way very often. My diet consists of whole grains, seeds and nuts, fresh fruits and vegetables, and lean meats. I watch my portions carefully. That means that now and again, I can splurge. And it just so happens that last week I was in Oklahoma City for a concert with some friends, and we grabbed some McDonald's beforehand. I had a Big Mac, and it tasted awesome (not remotely as good as the prime burger, but still tasty). On the way back to Tulsa, I got hungry and had McDonald's again... a grilled chicken sandwich. It also tasted good and I've lived through the experience. Wait, what? Grilled chicken? Well, it turns out that McDonald's has a variety of food, some of which is total junk and some of which is at least reasonably healthy. They leave it to the consumer to decide. 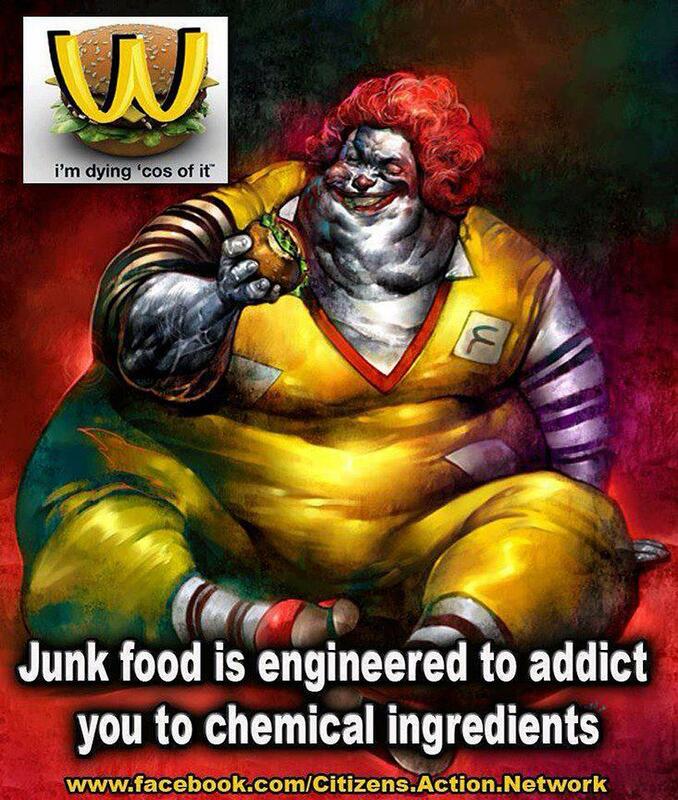 The fact that their burgers are their popular mainstays is evidence that people like that type of food, not that McDonald's Corporation is engaging in some conspiracy to lace their food with addictive chemicals. Strike a balance, people. Quit scapegoating restaurants for your poor eating habits and your excuses for avoiding the gym. And as I like to say, all things in moderation -- including moderation!